Sulaiman started his career with Security Swaps Limited and later Nigerian Stockbrokers Limited (a subsidiary of NAL Bank Plc.) from where he joined Meristem Securities Limited. 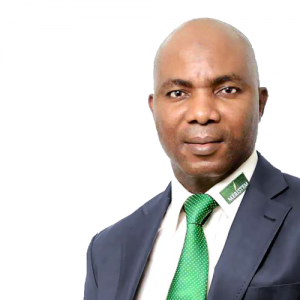 He pioneered the establishment of Meristem Wealth Management Ltd, a wholly owned subsidiary of Meristem Securities Ltd and currently manages the Wealth Management Firm. Sulaiman is a CFA chartered holder, a member of the CFA Institute and society of Nigeria as well as a seasoned accountant with a wealth of experience spanning across the various sectors of the capital market. He holds degrees both in Accounting and Banking and Finance. He is an associate member of The Institute of Chartered Accountants of Nigeria (ICAN), Chartered Institute of Taxation of Nigeria (CITN) and Chartered Institute of Stock Brokers (CIS). He is also an authorized dealing clerk on the floor of The Nigerian Stock Exchange (NSE). Sulaiman has attended several trainings in Nigeria and Overseas including Practical Portfolio Management for Equities and Bonds, Beaufort Institute of Business Training (PTY) Ltd. in South Africa, Certificate in Financial Asset Management and Engineering (CFAME) in Lausanne, Switzerland. He also attended a General Management Program course (GMP 10,2011) at the prestigious Harvard Business School, USA and Risk Management for Corporate Leaders (December,2013). He is an alumnus of Harvard Business School (HBS).